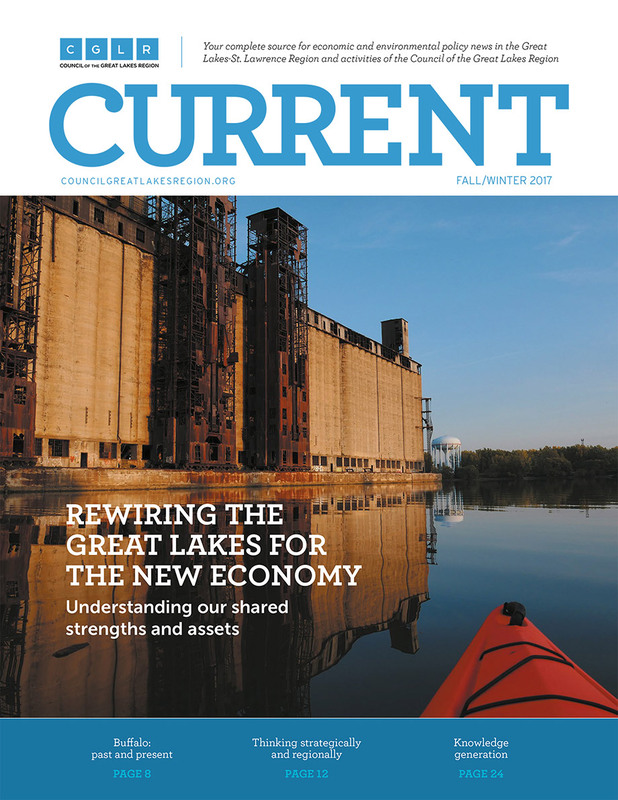 Your complete source for economic and environmental policy news in the Great Lakes-St. Lawrence Region and activities of the Council of the Great Lakes Region. Buffalo, Past and Present: America’s gateway to the west is undergoing a once-in-a-lifetime transformation. Great Lakes, Greater Impact: The vital role of this freshwater resource to ArcelorMittal. Community First: Creating jobs while protecting our water resources for current and future generations. Connected. Adaptive. Resilient: Developing a multimodal transportation vision and strategy for the Great Lakes Region. CGLR is a member-based organization that works to enhance regional collaboration and cross-border integration by bringing together stakeholders from the private, public, and not-for-profit sectors to advance effective, coordinated, and broadly shared responses to the region’s common challenges.